Synopsis: Another brilliant slice of medieval crime fiction Thomas atte Bridge, a man no one likes, is found hanging from a tree near Cowleys Corner. All assume he has taken his own life, but Master Hugh and Kate find evidence that this may not be so. Master Hugh is convinced that Kellet has murdered atte Bridge--one rogue slaughtering another. He sets out for Exeter, where Kellet now works. But there he discovers that the priest is an emaciated skeleton of a man, who mourns the folly of his past life. Hugh must return to Bampton and discover which of his friends has murdered his enemy. 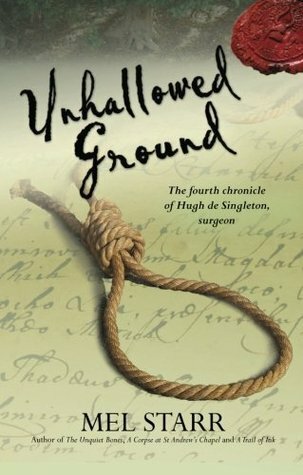 Review: A mystery that will have you wondering at Hugh's dedication to justice, even when no one would fault him for letting it slide, and that will make the reader question themselves, and which path they would choose, when faced with the same.